A study conducted by a Canadian institution dispels several myths about piracy in third-world countries. We all know that pirating games is bad, right? That downloading someone's work without paying for it is tantamount to stealing? Of course, you do, you're a good person. But there is a persuasive argument made by some that piracy is sometimes the only way to play games, whether because there is no legal avenues to purchase them or because the legal marketplaces that do exist are too highly priced to be feasible. A three-year study conducted by the Social Science Research Council and funded by Canada's International Development Research Centre seems to state that these two points are the major contributor to piracy in developing economies. 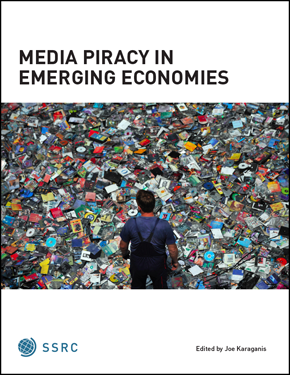 The study focused on six nations (South Africa, Russia, Brazil, Mexico, Bolivia, and India) and its findings were printed in a book called Media Piracy in Emerging Economies edited by Joe Karaganis. Among the major points in the book is the assertion that organized crime has nearly nothing to do with piracy in these nations because it's impossible for even "well-organized" criminals to compete with the low, low price of "free." Also, there are over 300 anti-piracy education programs identified in these nations but the study concludes that these have zero affect on consumer's behavior. The cause of piracy in these nations, the study purports, is that the price of media is far too high for local populations to afford it. "Relative to local incomes in Brazil, Russia, or South Africa, the retail price of a CD, DVD, or copy of [Microsoft] Office is five to ten times higher than in the US or Europe," the study's website said. The study also believes that the industries involved (such as the music, movie or game businesses) have been concentrating on legal solutions to the problem of piracy by demanding laws prohibiting it. But with judges and law enforcers already taxed to help the well-being of a nation by reducing violent crime, the study found that anti-piracy laws were deemed less important. "After a decade of ramped up enforcement, the authors can find no impact on the overall supply of pirated goods." For the gaming industry, the economies of developing nations cannot support the cost of owning expensive game consoles and buying $60 games. So it only makes sense for knockoffs and pirated material to be rampant; if the choice is between not playing and playing, the gamer will always choose to play, no matter if he's pirating the game or not. If a game publisher wants to market games legally to these developing nations, then it might be necessary to reduce the prices to something that the people can afford. Now, that might not be realistic for AAA titles hot off the presses, but what's wrong with suppliers selling 1 or 2 year old titles to developing countries at a steep discount? I think the worry that people might then try to import games from India back into Western markets is a little crazy, honestly. In any case, I'm glad that Media Piracy in Emerging Economies is attempting to discuss these issues so that there is an independent source of facts other than the information released by media companies. 'Cause, you know, they kind of want to think about this stuff the way that they do.